A new boutique has opened in town and it has its apparel game strong. Nestled in Lane 5 of Koregaon Park, Rangeen Kapaas, meaning coloured cotton, is an ideal place to visit if you want to shop for cotton ethnic wear with different kinds of handmade block-prints on it. As soon as you enter the shop, the pastel colours as well as the intricate designs catch your attention. Elegant, minimalistic yet rich, the fabric is extremely comfortable. Starting at INR 1000, the place houses different types of Kurtis, dresses and dupattas made of cotton, chanderi silks, pure silk etc with different types of handmade designs on it. The boutique has a special collection of Gota work, which is a traditional form of Rajasthani embroidery where small patches of ribbins are attached. 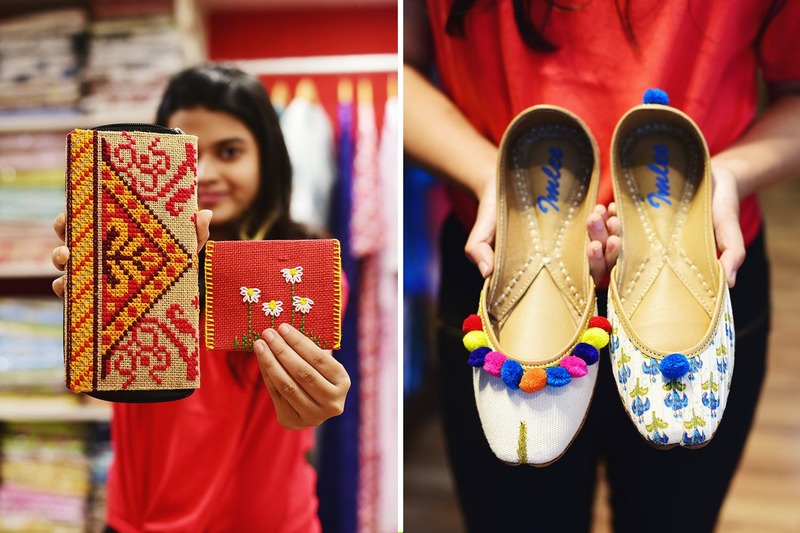 We suggest you check out their limited Gota handwork collection. We love that the collection is not just limited to ethnic wear. They also have a beautiful collection of Rajasthani mojris and quilts. If you have kids with you, check out the beautiful and comfortable ethnic designer clothes, designed specially for kids, on display. The boutique houses apparels only for women and children. We hope they start with ethnic cotton collection for men as well. We suggest you check out the boutique's collection of beautiful jute/cotton bags, slings and clutches, which are handmade by tribals from Udaipur.